1) Glow-in-the-Dark. Have a sensory hunt in the dark. Use flashlights, or hide glow sticks inside the eggs and have the children find them at night. 3) Egg Relay- Practice reading while hunting. Put a silly task in each egg. The child must do that task until they get to the next egg (jump, hop, skip, pat their head, walk backwards, crab walk, one-leg hop, etc.). 4) Puzzle Pieces- Get an Easter or spring themed puzzle, put it together and write a clue over the entire puzzle with permanent marker. The kids must find each puzzle piece (in their eggs) and put the puzzle together to find their Easter basket (or prize). 5) Match the Eggs- Children try to match the egg halves until they complete the full eggs. For every full egg that they make they receive a prize. 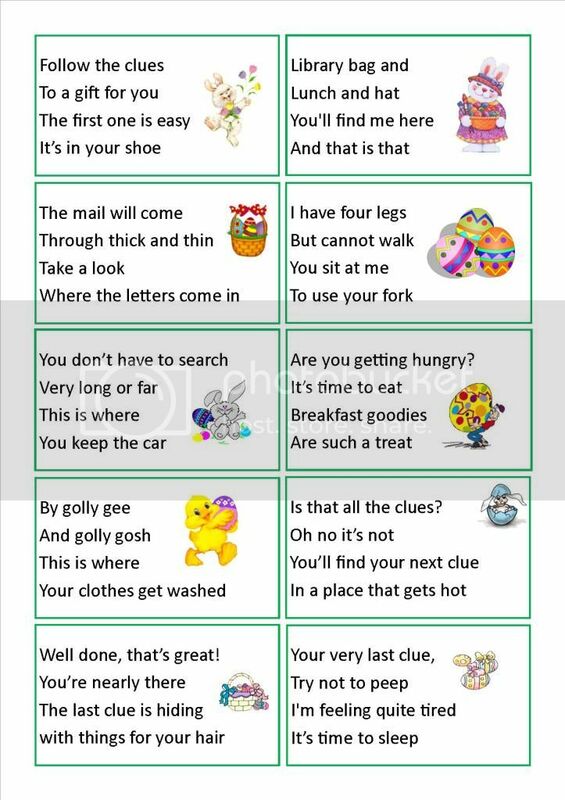 6) Follow the Clues- The children simply follow the clues to find their eggs. Click the image for printable or make up your own. 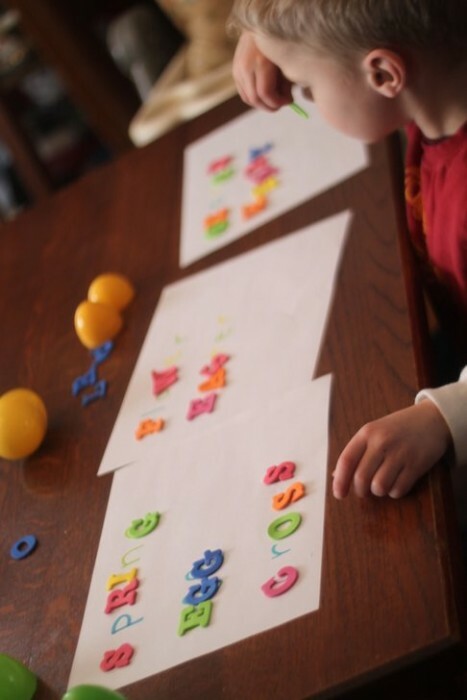 7) Make a Word- This egg hunt involves the children looking for eggs with letters placed inside. As they find the letters they can match them up to given words. Easter Egg Ideas การศึกษาอย่างชีวจิตเป็นอย่างไรกันนะ ?